This musical film evokes warm feelings as it tells almost the fairytale only happening in life. 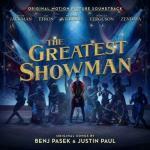 The biggest star here is Hugh Jackman (he is the rod around which everything revolves in a movie and who performs at least 4 songs, one of which is ‘The Greatest Show’ in the lyrics of which he tells his story – the greatest showman of his time (at the end of the trailer, he tells that he has invented show business)), who precedes the next stars: Michelle Williams, Zendaya, Zac Efron, and Keala Settle (singing ‘This Is Me ’ rock song that in lyrics tells the story of the most part of the characters of the movie – they were all someday hunted by the ‘normal’ people and tried not to break under the suppressive words and actions). Despite the fact that Michelle Williams is not a singing star here, she also had a chance to reveal her voice in ‘Tightrope’ song. The story starts from depicting a sh*tty, moneyless, and boring job, which a hero of Hugh Jackman has. He is being fired from it, as his company becomes bankrupt. After pondering what he wants from his life, he comes up with an idea to open a circus (or, rather, a cabaret, the first of its kind in his area) and his dreams eventually come true after hard times & many hesitations. He also finds his future stars that would want to act in his cabaret. With his charming smile & overall enchantment that he generates outside, he soon becomes victorious.